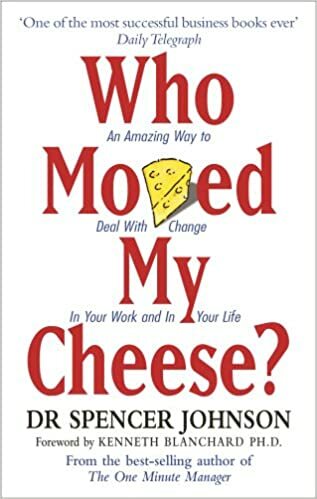 Written by Dr. Spencer Johnson, ‘Who Moved My Cheese?’ is a simple book revolving around four characters- Hem, Haw, Sniff and Scurry. The book teaches us about the importance of anticipating change and changing ourselves according to the situation. This is a simple story revolving around two mice and two little people who search for their cheese (whatever we want to achieve in life) in a maze (our typical workplace). Sniff and Scurry both don’t think too much about life and take things easy and get used to change very well. Whereas Hem and Haw are like typical humans in an organization who fear change and get stuck in their regular surroundings. – Adapt to change quickly. – Be ready to change, again and again. In all, it’s a must-read book for all of us. It can be applied in our day to day life as well as in our workplace. This book is good for people of all age groups. Be ready to change quickly and enjoy it again and again.